Exchange’s “Connected Account”s feature enables Exchange Online users to connect up to 5 external email accounts (like GMail, Yahoo, Live/Hotmail) to their internal email account in Exchange Online, and then use Outlook Web App to interact with all their messages in one place. 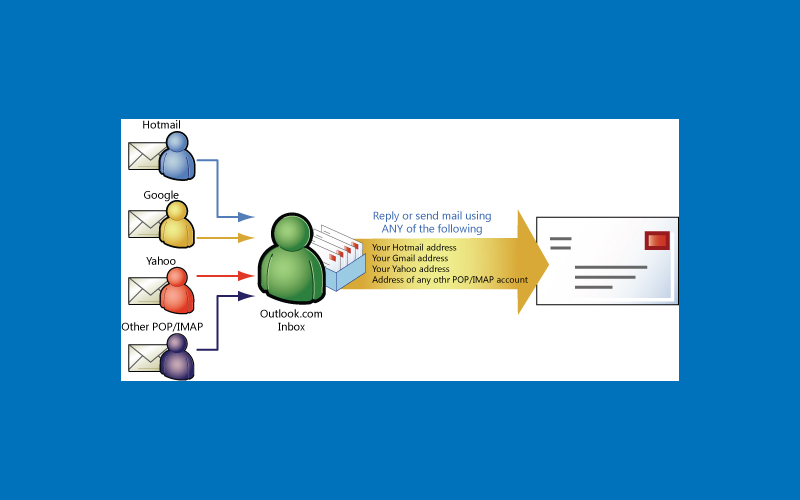 Connected Accounts automatically synchronize upon sign-in to Outlook Web App; users can also manually synchronize the accounts from Outlook Web App. Administrators can enable and disable this feature for specific users or all users through the Exchange Admin Center.